In the Vallée de Joux, the L’Orient floodlit run offers a unique experience for skiers or riders in the Railpark, who can keep having fun until 10 p.m. Don’t miss the “ski-fondue” package for an all-inclusive evening out at a great price! 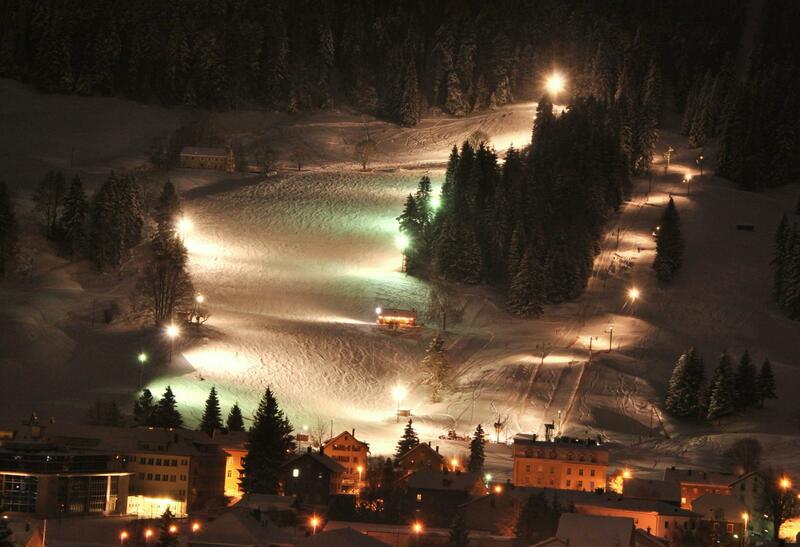 In the Vaudois Jura, the L’Orient floodlit run is one of the highlights of the downhill skiing on offer in the Vallée de Joux. During the winter season, the run is open from Wednesday to Saturday, between 7.30 and 10 p.m. Lots of fun for skiers, but also riders who can enjoy the 12 features of the Railpark well into the evening. For a sociable end to the evening with family or friends, go for the “ski-fondue” option; a popular package including night skiing followed by a typically Swiss fondue at the bottom of the slopes. L’Orient is one of the downhill skiing sites in the Vallée de Joux - Vaulion. Reaching an altitude of 1,280 m, its new ski lifts and runs are particularly suited to families. If snow conditions allow, open every day from 9:00 à 17:00. 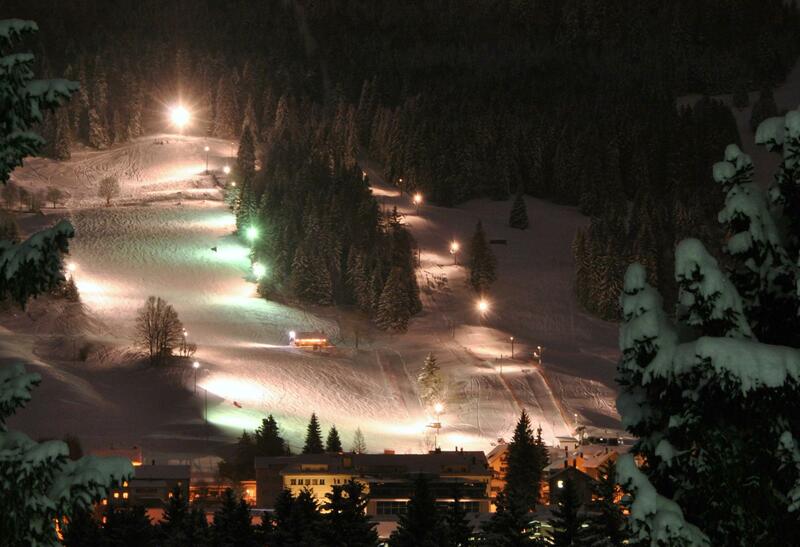 Night skiing at L’Orient ski run is open from 19:30 à 22:00 from Wednesday through Saturday. MAGIC PASS also valid in the evening.